Lap pools and swimming pool ideas. Information on pool costs, lap pool dimensions, and mistakes to avoid. Modern lap pools and swim spas offer a unique water current that is smooth and wide for hydrotherapy and water exercises. It's commonly known as a “wall of water” and is normally enough to match your regimen yet gentle enough for rehabilitation. These small portable swimming and exercise pools might be a good idea for those swimmers who really like exercising in water. One benefit is that they're pretty small, about 7 - 8 ft. wide by 14 - 15 ft. long and anywhere from 3 - 9 ft. deep. This will allow you have have enough room to swim. With customized exercise pools you can get them as long as you want, some up to 50 - 60 ft. in length. Most are build from quality fiberglass construction and can fit into small spaces. They can also be installed either indoors or outdoors, depending upon your unique situation and needs. When choosing an indoor pool you need to have a level concrete surface. This area should be able to handle about 150 - 200 lbs. per sq. ft. For outdoor pools any level surface or area should work. If you live in a warmer area of the country a nice above ground exercise pool might do the trick but if it gets cold during the Winter then an indoor above ground pool would be better. Have a couple of areas in mind. Then, have a qualified pool company look at the site to make sure it's safe and meets all the specifications and safety requirements. A good pool lap counter will help with keeping you on track with your exercise program. You'll need to obtain the appropriate city permits for building a pool. Most cities have specific requirements for building a pool so make sure to check with local authorities. Mapping out your pool is very easy to do. Make sure to know your specific pool's plumbing during this phase. You want to make sure not only is the plumbing correct, but any sewer, water, gas, and possibly underground electric lines are known before the digging phase. Check with you local utility authorities for the specifics. Once that part is completed, you can mark off the exact dimensions of your pool. Start with a shovel outline of the pool. Obviously you'll want to rent or borrow a back-hoe or more serious digging machines for the pool. Clearyly, much dirt is going to be removed. Once that phase is completed, it'll be time to connect the water and plumbing lines. Pour cement throughout the bottom, sides and top lip of the lap pool, then smooth everything out. Make sure to follow the instructions for proper cement mixing and pouring. Allow time for the cement to set and properly cure. Last is to install the tile along the top edge. The tile should be placed slightly below the water line to the top pool edge. They're very affordable but if cost is no option, you can make your exercise pool custom built. You can make your pool a little wider to have more people swimming or a little deeper for water aerobics and other forms of water activities. Also be sure to check with your city building department to make sure you have all permits in place. Call your contractor or swimming pools dealers as they can help with this. 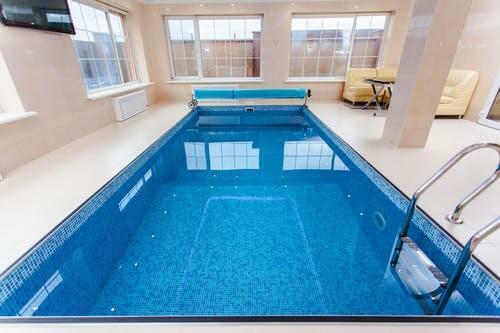 Being that most lap pools are long and narrow, they can fit in tight spaces where a normal pool would be too large. This is one of the great advantages of having a distinctive shape. For outdoor lap pools, your imagine is the only limitation. Grass, flowers, and trees add a beautiful frame around your pool. Normally, privacy is not an issue so you can be surrounded by nature if you wish. A swimming pool can be expensive, but it also allows for privacy and ready access. 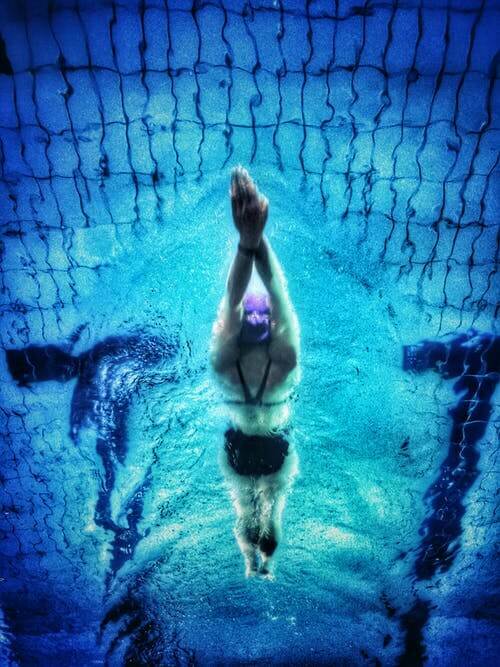 Avid swimmers might lap pool advantageous. They can enjoy a quality workout whenever they like. Pool installation costs vary by region and by company. Ask the dealer if financing is available but make sure you can afford the payments. Vinyl pools are the least expensive and can run between $5,000 to $18,000. Although vinyl-lined in-ground are great and can easily offer a good work-out, they must be large enough to complete a full lap. Vinyl-lined pools are easier to damage. The vinyl liners can wrinkle or leak. Concrete is the most expensive option but you can have basically any shape you want. It's very adaptable and durable, although they may crack in areas with harsh winters. A concrete or gunite pool will generally cost between $15,000 to and $45,000 and custom pools are even more expensive which can top the scales at about $80,000. Fiberglass in-ground pools cost are normally in the middle price range, between vinyl and concrete. Prices run between $14,000 and $25,000. Fiberglass pool shells are very sturdy and can handle a little more roughness than a vinyl-lined pool. Mist fiberglass lap pools are pre-constructed and there are hundreds of options to choose from. They do well in colder climates and are easy to open and close during the off-season. Fiberglass is also easier and less expensive on chemicals. 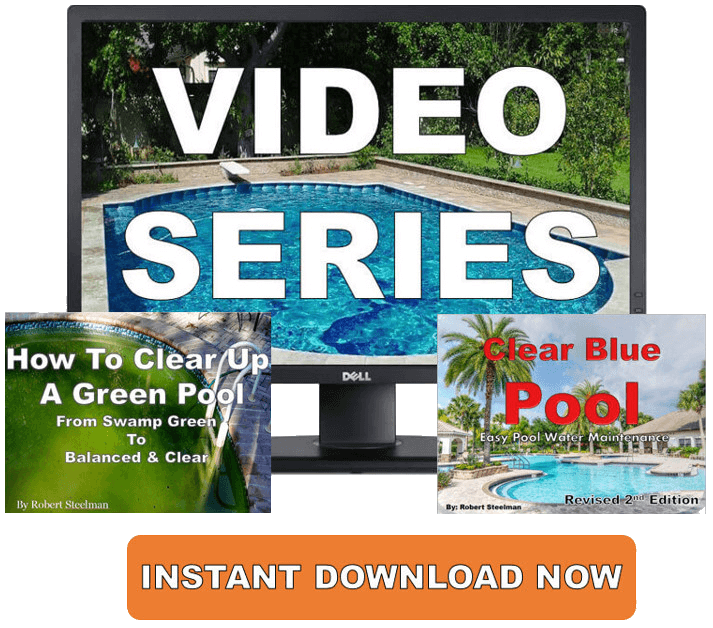 Are you confused about swimming pool installation? Are there too many choices? Don't want to make a mistake? 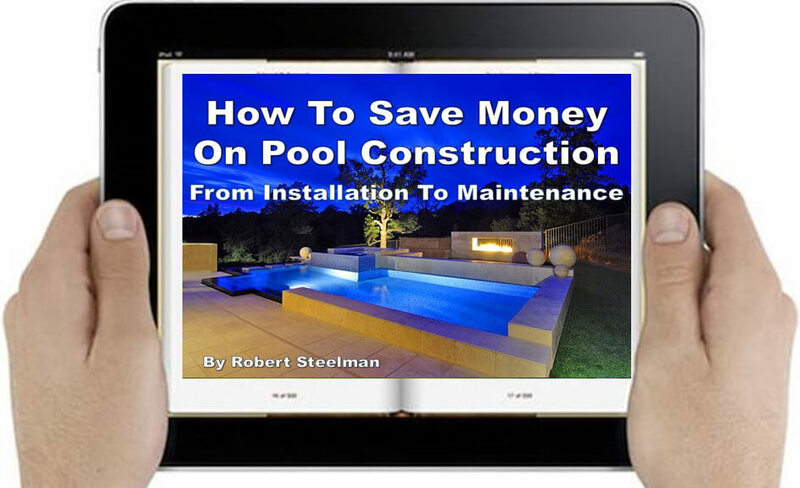 How To Save Money On Pool Construction eBook is perfect for those who are thinking about building a swimming pool. This eBook is packed full of information from my 20 years in the pool business. Information that every prospective pool owner (and current owner) can use. I have done the hard work, getting right to the heart of the matter, so you can make the most informed decision. Click the button below and get started today. Above ground lap swimming pools are great for those with limited space and budget. Most come with all you need including a ladder, filter, and fittings. These are built for swimming laps and not much more, but you will get a good workout. As with many backyard inground swimming pools there doesn't seem to be much space for anything else. Just put it where you can, in the garage, on the patio, or any place else where it can fit. You should have some swimming pool ideas in mind. If you move just pack it up take it with you. Some people may like inground lap pools these instead of an above ground swimming pool. Inground pools seems to be a bit more stable because it's actually in the ground and can be customized to your needs. Check with your local swimming pool dealer for fiberglass swimming pool prices. Inground exercise pools are worth it if you live in a warmer climate and you're not going anywhere anytime soon. Being you can customize your inground pool you're able to make it a little bigger for your family but still have the benefit of a real exercise pool. As with any swimming pool you need to take care of the chemicals. By neglecting the chemicals you will cause bacteria and swimming pool algae to build up. There are some units that may add these chemicals automatically, so choose wisely which ones you're looking at. Whether an inground or above ground, these kinds of pools are a great way to get the exercise you need and have fun. There are many portable pools for swimming laps. Great swimming pool ideas and inground pool kits are available. Bring the family along and make a day out of swimming.